Chandigarh rightfully deserves the title of ” THE CITY BEAUTIFUL“. Unparalleled living standards, well-planned architecture, lush green surroundings, theme parks, proper traffic regulation and so many places to visit around truly makes this city TRAVELLERS PARADISE. Chandigarh city was the dream project of our former Prime Minister Pt Jawahar Lal Nehru. The whole project was manifested by talented French-Swiss architect Le Corbusier. As I always heard this city has a lot to offer to whosoever comes here to explore it. Being unable to hold my temptations anymore, I stalled my journey here and gave a thought to scour the places of which I always heard or read. Out of all, the place that impressed me the most or lured me through its fascinating beauty was ” THE ROSE GARDEN OF CHANDIGARH”. Little did I knew about this spectacular destination but only when I entered the premises, I realized it’s far more than I remember. The journey started to explore every inch! Here I am scribbling my experience to share with you entire Travel Escape community. Let’s do justice by first going through its rich cultural history. It is said a Real Traveller is someone who knows first the History of the place he/she is about to discover and then move further. 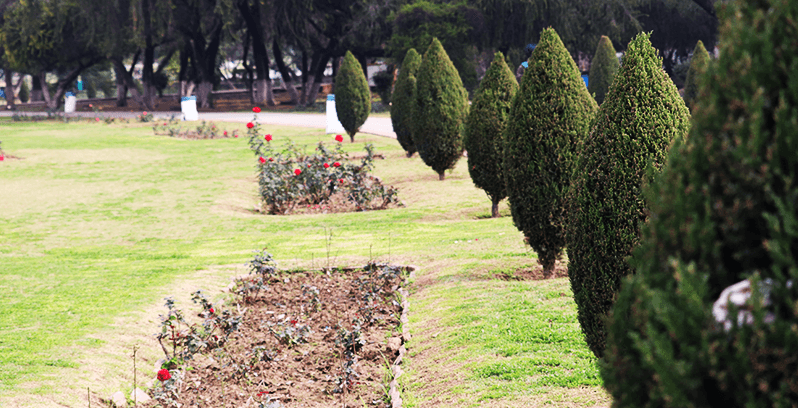 Rose Garden is considered as the ASIA’S LARGEST ROSE GARDEN and it’s a privilege for Chandigarh. 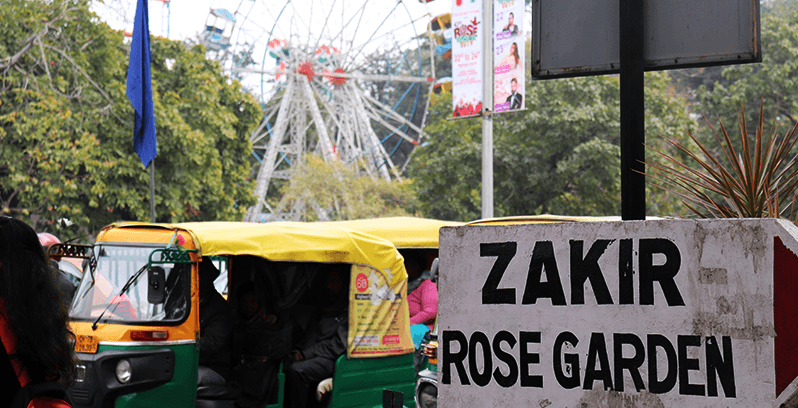 Named after Former President of India ” Dr. Zakir Hussain” so its actual name is ” Zakir Hussain Rose Garden Chandigarh“. It was established in the year 1967 under the honest guidance of MS Randhawa who was a renowned botanist, historian, art and culture promoter. The Garden covers an area of 40.25 acres. It’s home to 1600 varieties of Roses. In total 32500 plants are there comprising of rose varieties, medicinal plants, and trees. It’s located far away from the hustle bustle of the city. The moment I entered the gate pleasant mixed scent of roses welcomed me. My urge to move ahead boosted. Walking a few steps further, I got a sight of hundreds and hundreds of varieties of roses in front of me portraying their beauty most splendidly. For me it was astonishing as I never knew beside red, yellow and white, there exist 825 different species more. It will take longer to walk and get a glance of every rose. Let me tell you one fact, the roses here are named after the renowned national and international personalities like Queen Elizabeth, Lal Bahadur Shastri etc. Few of the roses possess unusual names like Dullahan, Hippie Girl, American Heritage, Wild Plum, Delhi Prince etc. The roses are planted into beautifully carved out beds that don’t interfere with each other keeping sanctity intact. With every rose, a wooden block is kept that in short tells which rose is this and from where it is. Everything is laid out in such a perfect manner that you can’t find any flaw. You can quickly realize that this place has been established keeping in view the expectations of everyone. Being heaven of roses, it connects you with the divine. I can profoundly say, THE CITY BEAUTIFUL is famous due to this most popular tourist destination among people of every age. Whosoever comes here; their trip is incomplete without paying a visit here. Aside roses, plants of medicinal value are also planted here like Camphor, Bel, Gulmohar, Harad, Bahera and many others. Everyone has their role to play, and it also adds a pleasing aroma to the ambiance. Garden occupies an area of 40 acres, so it takes enough time and energy to explore every part. After being tired, I sat under the huge tree on a bench and closed my eyes. I felt something different here. The chirping of birds, dried leaves falling from trees and cool wind caressing my hair made me felt as if I am watching some movie. This experience was very unrealistic. The ideally laid walking path with trees across the fence is what every health freak looks for. I reached during early morning hours so was lucky enough to get a glimpse of people jogging, walking, running and working out profusely with utter dedication. I did hear, people here are very health freaks and realized this after coming here. For kids, a separate section with different swings was there. It’s necessary to keep the kids entertained if you want to embrace the beauty of this place. Jokes Apart, let’s keep going otherwise it will take a day or more to go through this place. HOW TO REACH ROSE GARDEN, CHANDIGARH? Talking about my experience, I was coming from Pathankot to Chandigarh. A bus dropped me at Sector 43, Main bus stand of the city. From there, I got a Cab to sector 16 and reached the garden. I want to tell, if you are from a nearby state like Punjab, Himachal, Delhi, Haryana, and UP then the best option is a BUS. If not bus then train. Chandigarh has its railway station where trains from prominent locations often come and go. After arriving here, you can book a Cab or take an auto to reach the garden. Note that, don’t let Auto Walas mislead you. They often ask for more money from outside people. It’s always better to ask your local friends beforehand like what is the actual charge and pay accordingly rather than getting looted. If not this option then you can board a flight if coming from any state or country. From the airport, you can book a cab and reach the destination. As Garden is located in Sector 16 to Sector 17 bus stand is nearby, you can board a CITY AC/NON-AC bus from here and they hardly take 10 Rs and the Garden is on the main road. From Sector 43, the AC one takes 25 Rs and the NON-AC takes 15 Rs to reach Sector 17 and from there you can take auto till Sector 16B and reach the destination. Out of all the listed options, if using your convenience, you came here then there is parking facility available. They take 10 Rs for parking your private vehicle and free for cyclists. There is a myriad of things that you can do here. I did outline all, so you don’t miss anyone and reap full pleasure. Being one of the most favorable picnics and hanging out a spot for the city dwellers and other people, it stands on top of the list places to visit in Chandigarh for couples. “WHY” I will disclose later. Best time to visit Rose Garden Chandigarh is between winter and spring season, i.e. November to March. This time the flowers are at full bloom and revealing their charm. Rose Garden is indeed one of its kind with no competitor. Let us know what all the things I did. Have you ever imagined to be in a garden that’s full of roses and roses everywhere? I never did but fortunately got the pleasure to visit one. Every rose here has its own charm and speciality. 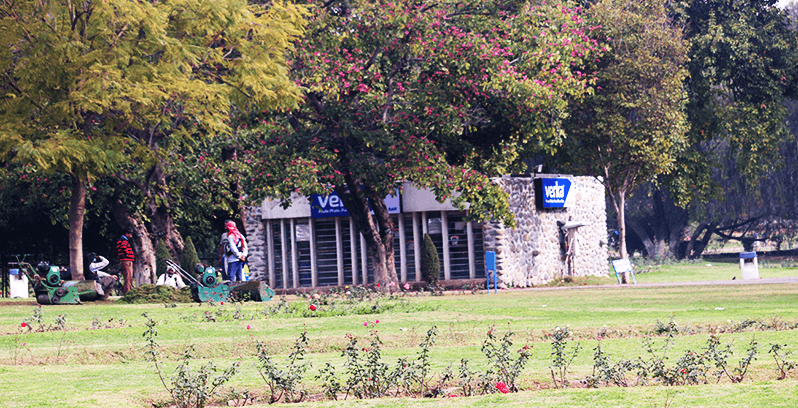 If you are from botany domain or a nature lover then Rose Garden of Chandigarh must be on top of your list forever. If you come here during the dawn hours, then you can see the youngsters and senior citizens around doing exercises. What can be better than working out in a garden full of exotic fragrances that instantly rejuvenates the entire being? Breath in the fresh air. I didn’t have enough time so just sat on the grass and meditated for 5 mins. I don’t know whether it was due to place or I did meditation well for the first time, I felt refreshed instantly. At least got this much energy to stroll through the whole garden actively. I always heard that nature had bestowed us with many beautiful gifts and this place was one out of all. Everything that was happening around added more beauty to the ambiance. We are not kids anymore but a heart is always. Just hopped on the swings and cherished my childhood memories. The amazing experience though. While moving forward, I heard a musical sound. After walking a few steps further, I saw a big wind chime. Never saw such a big one. It seemed like a tree and whenever the wind blew the chimes gently hit each other and produced the most pleasant song. You should click a picture with it. Seems awkward but my eyes caught the attention of many love birds. The students from school and colleges can often be seen hanging around here after bunking their classes. Not to enjoy nature but to spend some time with their beloved one. The newly married couples can also be seen around with hands in hands. If possible, I would suggest you stay in the garden by evening to enjoy a musical fountain show. Around the boundary clean benches are available where you can sit and let the drizzle caress you. How can a travel blogger forget clicking captivating shots? I also clicked some scenic shots which I added into this post to at least help you get a virtual glimpse of the garden. Tired of walking and want to munch something healthy? there is Verka booth amidst the garden. From here, you can buy kheer, juice, patty, lassi, ice cream, bread pizza etc. to satisfy your hunger pangs. Moreover, the hawkers can be seen around selling BHELPURI and other CHAATS. I grabbed one. Zakir Hussain Rose Garden of Chandigarh is the venue for Rose Festival aka Festival of Gardens. This event is held usually in February or March and go on for three days. 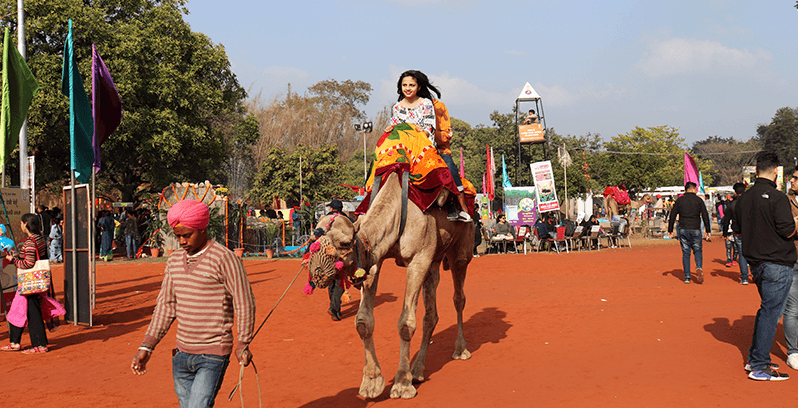 Various events and competitions are held like Photography contests, Miss prince and princess, Rose King and Queen, Floral Hat, Brass Band event and folk dance between different teams. The best one out of all get prizes on the last day of the event. This year for the very first time I attended ROSE FESTIVAL and the experience was truly awe-inspiring. In front of Rose Garden, Sector 10 open ground is located where food court with different cuisines, swings, big merry go rounds whom we call CHANDOL and shops were there. I took a ride on it with my friends and it was a thrilling experience. Every single day, during evening singers, came and kept the people hooked. This time Mika Singh, Shruti Pathak, and Babbu Maan came to entertain the audience. Do come in and join the event next time to witness the splendor of exotic roses and have some fun along. This year about 300,000 + people attended. Don’t forget doing any of this activity and add on some more by yourself. Additionally, there are lavatories available for male and female as well in case you felt the need to go. Right from the establishment of Rosegarden, it has lured residents of the city and tourists from different locations. 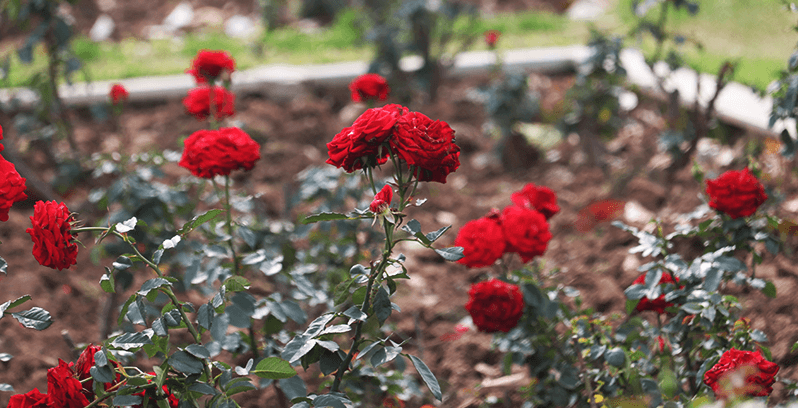 POPULAR ATTRACTIONS NEARBY ROSE GARDEN THAT YOU SHOULDN’T MISS! Tada, the next day I went to some other prominent locations as well. I will not explain deeply about them but just an overview so that you know where to go afterward. 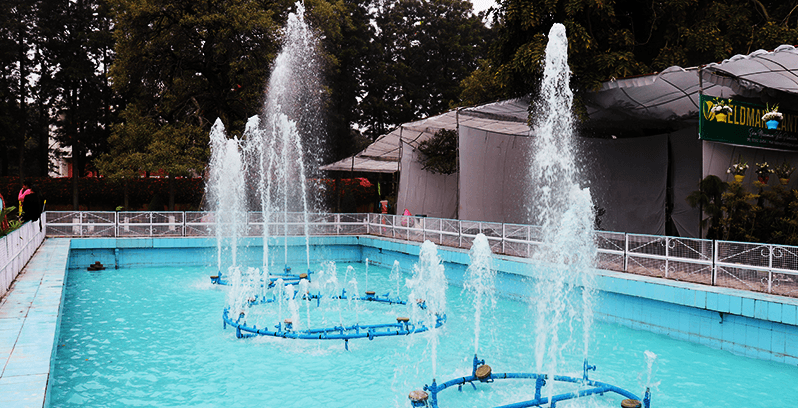 Shanti Kunj – Located on the other side of Rose Garden. Shanti means peace and Kunj means a reservoir so it’s a reservoir of peace. A huge number of trees and plants in the garden make it worth visiting during scorching summers as well. It has an open gym as well where you do different sort of exercises and gets into shape. Sukhna Lake – Located in the foothills of Shivalik’s range and lush green surroundings is what SUKHNA LAKE made of. This lake stretches to 3 km and on its other end “Garden of Silence” exists. The scenic beauty of the lake lures everyone. You can do a myriad of activities here. I enjoyed boating here and got a portrait for myself. For this place, I can say ” Jitni Tareef kro utni kam”. Rock Garden, National Gallery of Portraits etc. Whenever you go the time to visit these places and share your experience here at Travel Escape. KEEP EXPLORING INDIA. Dear readers, I hope the blog post answered some of the questions about the Rose Garden Chandigarh guide. Do you still have a question? Feel free to comment or rate us by clicking the 5 stars. Content Marketer by day and a vivid reader by night, Jasmit Kaur has broad experience in content writing as well as marketing and is currently working with Find in CHD as a content marketer. Dwelling in Chandigarh, her spare time is devoted to cooking, dancing, taking care of pets and road trips to anywhere worth exploring. No doubt, Chandigarh is mesmerizing . !! And your article is amazing .. Thank you so much for sharing your experience and your thoughts so nicely and describing how rose garden of Chandigarh is , so effectively. !! Incredible Post !! Thanks for Posting ! !